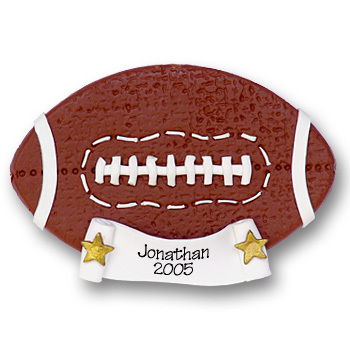 If you are uncertain of the team color, then this is the perfect ornament for that little football player. May be personalized with a name and year. Handmade from polymer clay and designed by Debi Allison.